From a stark space to a sparkle place – that could be the sub-title to this article especially if you seek an entrance that is inviting and very welcoming. You may already have such an entrance – so then is it time for a change of focus or a new idea? This is one of the many joys of container gardening – you can more readily change and swap around and go for a completely new look very easily – it is just a matter of planning and desire and action and there you are (or will be) with a new entrance that says Hello in the international language of plants! Consider a single and focal plant in a beautiful container. Maybe a matching pair? A Topiary style Bay or lemon tree could double up as a source of fresh bay leaves and or lemons for your cooking adventures, but beyond that, something like this would look good whichever way you see it/them. They will bring a formal touch to a ‘loose, casual or country’ container look or will match up with a formal design space already in place. Consider your actual containers. Shape. Size. Colours. Patterns. Sometimes the plant takes second place to the container. I have a friend who has a collection of intricately patterned porcelain pots on the one side of her doorway with no plants in them. She has stablisied them by filling them with river sand. The pots are intricately-designed and multi-coloured in deep greens, peacock blues, ruby reds with mustard and black filled bits. Maybe I have not really described them with any justice, but believe me, they are gorgeous. On the other side of her door way, she has a matching single square container she has painted a rusty red and in this she has planted a white japonica (got beautiful glossy green leaves) with frilled Ivy and complementary white Alyssum as a filler and spiller. She keeps the Ivy trimmed so there are always lime green new shoots at the end of the ‘spill' and the ivy does not detract from the shape and colour of the pot by covering it up. Consider a selection of planted pots in a circular pattern starting with taller ones at the back and coming down in size to the little ones in front. It is also a way to use your smaller pots to good effect. You do not want to be overcrowded, just use the space well. After all, there are practical considerations like keeping it tidy, trimmed, watered and neat. Weedful, tatty brown leaves or a flowering shrub that needs dead-heading will not make a good impression anyway, least of all at the entrance to anything. Consider the role of fragrant plants. Lavender is a favourite but there are so many others too. Star Jasmine, grows in all sorts of ways according to your wishes. It can be left to spill over rocks (not for this use) but it can be a hedge, a shrub, and hanger, spiller or climber. A trained Jasmine right over the door way on a bit of trellis would make a fine show; and if not jasmine, then what about clematis or honeysuckle? Perhaps this is an idea to suit your entrance? Imagine a plant trellised up starting from each side and meeting at the top in time with a lovely wall plaque as the centre piece and focal point above the doorway. Scent will always arouse the other senses for you. For winter fragrance try Hyacinths, they are neat and easy to grow and in spring time what about Daphne or lilacs? Stocks could work in summer and in autumn just care for the pots and prepare them for the cooler months ahead. Consider a completely different look from most other doorways by using paint colours or mosaic around your doorway offset by a tall statuesque cactus. Yes, I know you don’t readily want to ‘hug’ a cactus and many do not find these plants inviting – but if you have the right conditions (like the direction and sunshine) then try – be different. Your entrance is like the overture to a good movie; it sets the mood and gets you thinking. A cactus entrance would complement a clean simply furnished interior hallway or it could be a reason to remind you to de-clutter your mind at the end of a busy day at work. 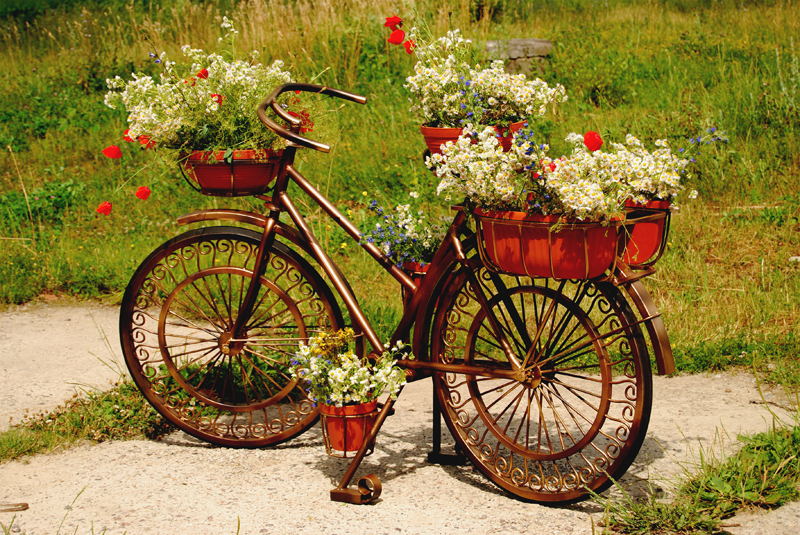 Arriving home is such a nice event – get your plants working for you in some way. Slow growing maybe but very easy to care for there are many choices of cacti and clean-lined succulents – especially if you include an aloe or two. And last but by no means least consider your entrance a place to grow a window box or two with a combination of herbs and edible flowers and others. Maybe you have a window ledge at your entrance that just begs for this ‘treatment’ Again the usual suspects will do well and do not need only to be grown outside the kitchen door. Make a worthwhile change soon – it will make a big difference!